A ‘Crown Princess’ is heiress apparent. The first born of King Carl XVI Gustaf and Queen Silvia of Sweden is Victoria. Since she will then inherit the throne (thanks to the 1979 Act of Succession), she is Crown Princess Victoria. 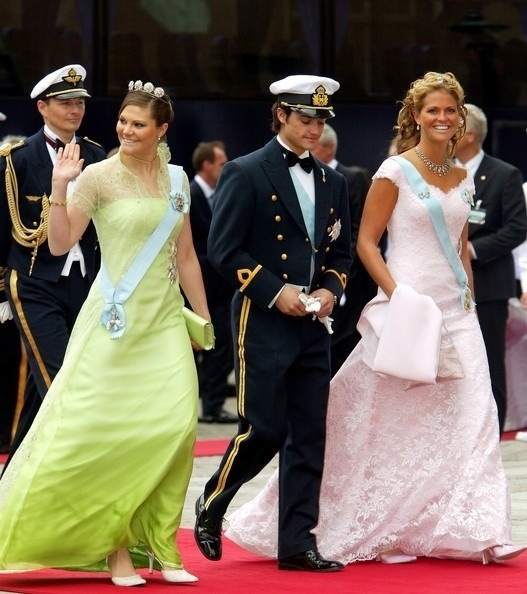 The King’s two other children are then simply Prince Carl Philip, and Princess Madeleine. Furthermore, Crown Princess Victoria’s daughter Estelle, being the heiress apparent’s first born, will become Crown Princess Estelle after Victoria’s ascension to the throne.